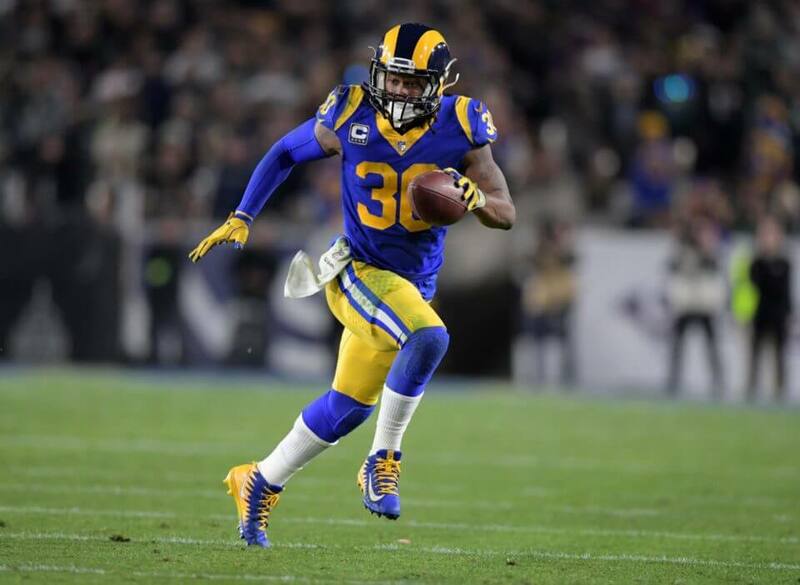 Although the Los Angeles Rams have indicated that they plan to lighten running back Todd Gurley’s workload, head coach Sean McVay says that he will still remain as the central piece of the offense. Gurley had been in the midst of another MVP-caliber year before he was derailed by a knee injury down the final stretch of the 2018 NFL season. His lack of involvement during the playoffs raised even further questions about the state of his health. As a result, there has been plenty of speculation regarding his role as the team’s workhorse. Fortunately, it appears the changes will not be too substantial. This is certainly an encouraging update from McVay considering all the rumors about Gurley’s lingering knee injury. Fortunately, it does not appear as though this will hinder their plans for the All-Pro back moving forward. When healthy, Gurley is widely considered to be the best running back in the league. His versatile skill set as both runner and receiver has made him an instrumental part of the Rams’ resurgence on offense over the last two seasons. Regardless, Los Angeles will need to ensure that Gurley is as healthy as possible for future playoff runs to come if they hope to make the most out of their investment. While he will continue to be the focal point of the offense, it is safe to say that Malcolm Brown will see an increased role moving forward.